Twitch has skyrocketed in popularity over the past 5 years. 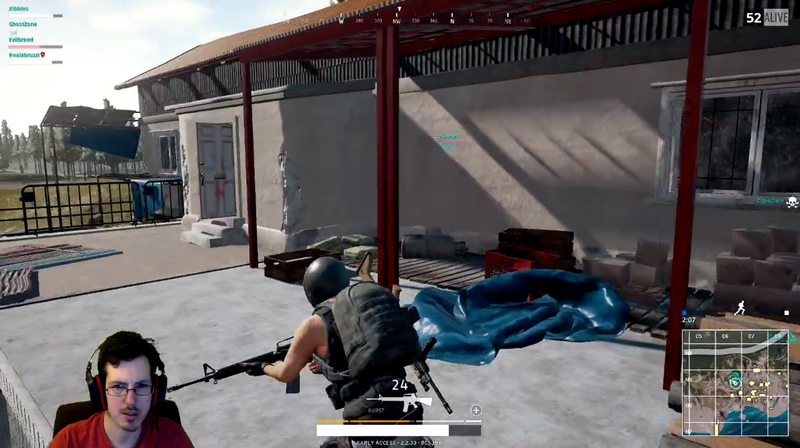 It is now known as the premier site if you want to watch an entertaining streamer play games, where you go to watch esports tournaments, or even chill out with some Bob Ross, Julia Child or even Power Rangers. Twitch even furthered its reach into our lives when it was bought up by Amazon and began offering even more incentives to hang out and indulging in the next step in games entertainment. As with any service, Twitch has grown and changed with the times and some interesting decisions have been made with how they handle things, good and bad. As a long time viewer of streamers like KingGothalion, Brotatoe, Elspeth, witwix and many more I’ve been privy to those changes first hand. From the upcoming and much anticipated introduction of cumulative subs to when making clips became a feature. Here I’m going to sit down and take a critical look at some of the recent features to be introduced to the masses. The first major change is the Affiliates Program, which is incredibly exciting for anyone who actively streams. It’s the new middle step between simple streaming and becoming partnered. Affiliates are given the ability to accept Bits, Twitch’s proprietary currency that translates into real money, as well as access to a subscription button! For anyone that streams, the concept of a sub button is exciting, but there are some downsides and pitfalls that freshly affiliated, enthused streamers should be aware of. Not to rain on anyone’s parade, but the sub button is not the end game. To put it in relatable terms, an affiliate has beaten the main story, but the raid bosses and competitive PvP are still ahead of them. There have been some affiliates who got their sub buttons and thought that it was time to quit their day job. It’s not. Sure, the sub button is a step in the right direction, but there’s still plenty of work to do between cultivating a strong community and remaining relevant. The clip functionality, allowing you to make bite sized awesome right on Twitch itself. 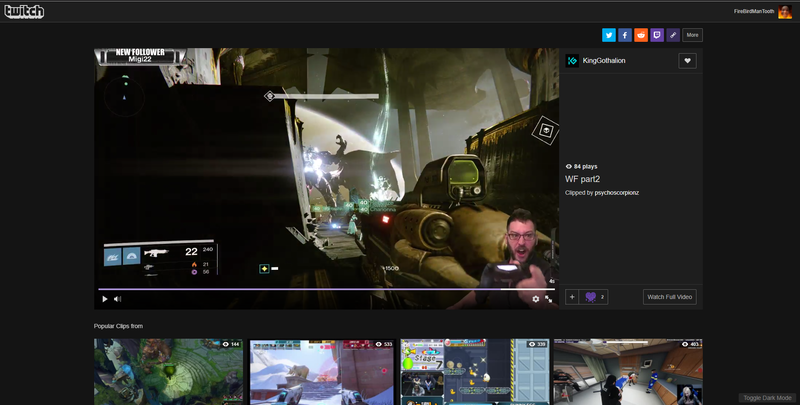 KingGothalion getting World’s First in a raid. Partnered streamers have known this for years, but subs can fluctuate. Sure, you have dedicated audience members that might become 4 year subs who will stick around from day one, but there will be drops among the rest of the viewership. The most noticeable would be after the first month, when sub counts might fall about 40% after the hype and excitement of finally getting that button has worn off. A spike might come when a new game comes out and, if you can nab viewers from the big dogs, you’ll see an influx of people showing interest and tossing subs. However, viewers may decide that they’re no longer interested in a stream once they’re done playing the game. It’s sad, but people are fickle and money is tight all around. Sometimes a viewer just doesn’t have $5 to toss to a streamer, even if they like them. A sub button can be a double-edge sword if a streamer isn’t careful. The other perk comes with the aforementioned Bits as affiliates are able to accept them, whereas non-affiliates and non-partners cannot. Tips are a widely accepted practice on Twitch, whether a streamer has it set up where they read messages associated with them, play funny alerts or perform other endearing actions when they get them, some viewers just love dropping dollars on their favorite broadcaster. Bits are another way to add some flair to the mix with badges dependent on how many bits you’ve contributed, on screen animations, separate alerts, a pseudo-minigame on the stream itself and more. You can buy them, or earn them by watching ads, which is certainly appealing as a kind of currency that you don’t have to think about as much. It’s also somewhat neat that they look like a lot more than they are on screen given the one bit to $0.01 conversion rate. You might be asking, “Myles! Free money to give (if you use ads for bits which doesn’t net very much), how could this be a bad thing?” It’s not all bad, really. As someone who streams I would LOVE it if someone would drop a bit shower on my stream, and they can’t be charged back which is reassuring, but that doesn’t change the fact that Twitch is taking a cut. 100 bits costs $1.40, so of course when you get higher up there, the extra amount that the viewer pays rises. This might not seem so bad, but why not just toss the streamer the buck 40 instead of spending an extra $.40 just to toss them a dollar? Vodcasts have become a thing as well. Vods were originally saved videos on Twitch of streams that had ended, so a devoted follower, or someone just wanting something to watch, could check out a stream that was no longer live. 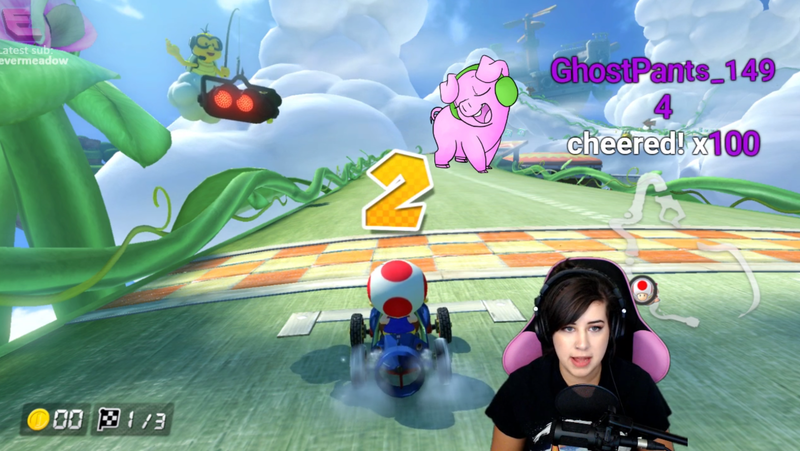 However, Vods had to be intentionally accessed, weren’t mixed in with live streams and didn’t include a chat window. Vodcasts are essentially a rerun, allowing a streamer to leave their feed open for 24 hours a day if they wanted and not even be at the computer. As a small streamer who once tried to get my foot in the door, the only times I got viewers was when I was in a somewhat dead directory or when it was late and people were popping their heads in to see what’s up. With Vodcasts, the big only get bigger and the trickle down becomes even less. It’s hard to stream in a directory when someone with 2k+ viewers is sitting at the top and they’re not even at their computer. It’s unhealthy for the growth of the community as a whole. What’s worse, Vodcasts have even been on the front page before, a place usually reserved for spotlights, tournaments or fulfilling a lucky streamer’s dream where they’re put in one of five slots of the Twitch homepage for everyone to see first when they access the site. All critiques aside, there is a positive note to end on. Twitch Prime is a very neat and lucrative perk that was revealed last year. If you’ve got Amazon Prime, a few clicks and you can have Twitch Prime. It simply allows you some other customization options of your appearance in chat as well as some perks such as free games and in-game items and even one free sub to any channel of your choosing a month. Who doesn’t love free stuff? There have been quite a few rather nice additions to the service, Banner Saga was free a few months ago, currently there’s an awesome promotion where they toss you free loot boxes in Overwatch! It’s very much like PlayStation Plus and Games with Gold. 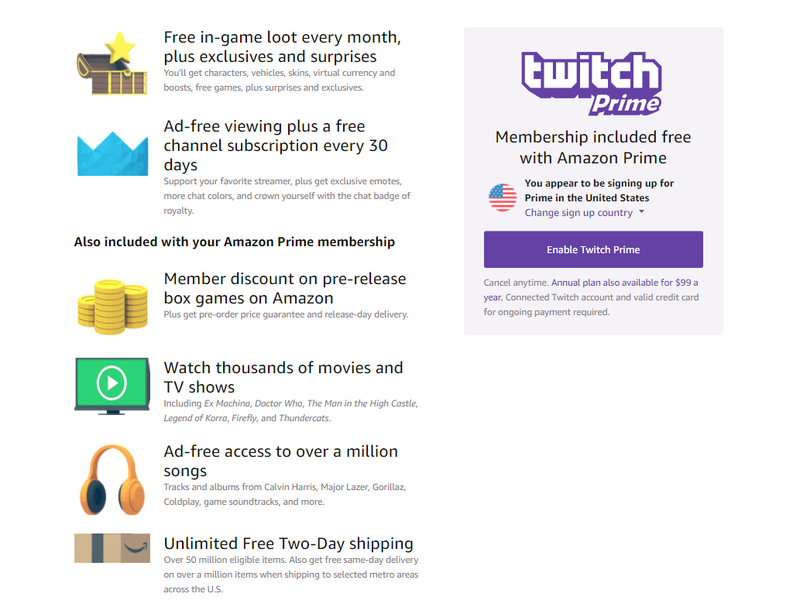 Considering how many people have Amazon Prime, even if you don’t watch Twitch, there’s no reason not to make an account, set up Prime and let the benefits flow in. Feels good, man. All in all, there are problems with one of my most viewed sites, but there are also wonderful people and communities, awesome perks and so many places where positive growth can occur, and the good folks behind Twitch know it. There will be growing pains associated with the progress and evolution of the site, and all we can hope is that the entertainers and service will sustain and thrive for a long time coming. It’s ya boy, Myles Farrington! I know I haven’t written in a year (maybe more) but here’s something to chew on with your brain mouths! You can find me on Twitter, Twitch, the MONG Podcast and primarily in my bed trying to sleep.